The Almaguin Highlands rising high above sea level just north of Muskoka, was once coveted for its majestic white pine and silver birch. This book paints a lively picture of what the area must have been like in the early days, from the lumberjacks to the boatbuilders whose steamers and tugs traversed the waterways. The Old Man of the Woods, Ralph Bice of Kearney, Ontario, is an endless source of stories and recollections involving his beloved Park. His personal experiences, his impressions and his razor-sharp wit combined with his love of nature have resulted in the most personable of all Algonquin Park histories. ISBN 0-920474-19-5, Size: 6 x 9 paperback, 170 pages. NHB. This book documents the era when famous artists, intellectuals and theatrical personalities visited the strikingly beautiful Lake Mazinaw area in Ontario's rugged Land O'Lakes district, both to play and to work. ISBN 1-896219-30-6, Size: 6 x 9 paperback, 130 pages, NHB. Recollections dating back to the early 1900s: food chilled by blocks of ice cut from the lake; excursions up the lake on elegant steam boats; and a floating store that called at the dock every week. More than just a charming, sometimes poignant, often humorous peek at cottage life in another era. ISBN 0-9681452-3-X, Size 6 x 9 paperback, 192 pages. Without Champlain's own detailed records, the years 1600 to 1640 in Canada would be almost a mystery. Possibly Canada's first multicultural advocate, he dreamed of creating a new people from French and Aboriginal roots. The explorer's story is an exciting one, as he explored new territory, established alliances and understandings with the Natives, waged war when necessary, and left behind a legend in the New World that lasts to this day. Revealed for the first time—secrets and stories from the remarkable life of Canada’s first radio and television star! Illustrated with rare photographs and meticulously researched, this book is an affable, comprehensive narrative interwoven with personal anecdotes from his friends and relatives. Don Messer's growing-up years, early band years, public life, and family life are intimately examined. Few knew him personally. Most knew him through his music, which even for Don was an all-consuming element. The author relates what Don Messer’s life was like from the moment he first picked up his brother’s violin as a young child. 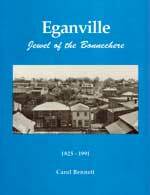 This book traces the history of Eganville from 1825 to 1991, when the village celebrated its one hundreth birthday as an incorporated village. ISBN 0-919137-23-7, Size 8 1/2 x 11 paperback, 238 pages. A Juniper Book. Farming in the Canadian backwoods in the late 1800s was a prospect that enticed many young Englishmen to cross the Atlantic. One such fellow was Frederick de la Fosse, whose well meaning uncle paid £100 per annum for his young nephew to serve as a farm pupil in the northern reaches of Muskoka. Some years later, de la Fosse, under the pseudonym of Roger Vardon wrote an illuminating and humorous biographical account of the trials and tribulations of the English Bloods, the local epithet attached to these young lads attempting to hone farming skills never intended to be agricultural. And, in so doing, de la Fosse chronicles the realities of pioneer life in the area. In the original text, published in 1930, a number of names were changed to conceal identities of the local people. Editor Scott D. Shipman has spent over eight years in researching the authentic names and overall background for this totally new edition of English Bloods. The richly descriptive text written by the keenly observant and erudite de la Fosse is complemented by archival visuals and annotations for todays reader. ISBN 1-896219-96-9, Size 6 x 9, 256 pages, paperback, NHB. By considering the significance of ship design and size, the author opens a new window on our understanding of emigrant travel. Instead of concentrating on the extreme cases of suffering and mishaps, to found in anecdotal material, Campey's approach is to identify all of the emigrant sea crossings to Canada made on Aberdeen sailing ships. 1-896219-31-4, Size: 6 x 9 paperback, 209 pages. NHB. Did your ancestors pioneer in Beckwith Township between 1816 and 1846? If so, they were among the earliest families in the district. Although few of them were rich in worldly goods we should think of these people as part of an elite group who, through their hard work and vision of a better future, have left us a legacy of which we can be proud. It was they who cleared the land and set up institutions which are valued by us today. The material in this book is part of a gigantic jigsaw puzzle which has been put together using information gathered from the early censuses, church registers, obituaries, newspaper stories, land records, family notes and diaries, as well as graveyard inscriptions. To this has been added a certain amount of data generously shared by family researchers. While we cannot pretend to have assembled complete genealogies of the pioneer generation -- that would involve the work of several lifetimes -- we have at least gathered some information which should be of value to their descendants. 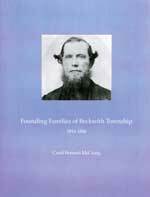 Whether you are working on your family tree or merely acknowledging, with justifiable pride, that you are descended from one or more of the founding families of Beckwith, this book was compiled for you! ISBN 978-0-919137-37-0, 8 1/2" x 11", 200 pages paperback, A Juniper Book. This book explores the tragic history of a collection of communities from across Muskoka whose stars have long since faded. Today these ghost towns are merely shadows of what they once were. Some have disappeared entirely while others have been reduced to foundations, forlorn buildings, and silent ruins. But this book isn't only about communities that have died. Rather, it is about communities that lived, vibrantly at that, if only for a brief time. It's about the people who longed for a better life; the people who lived, loved, laboured and ultimately died in these small wilderness settlements. And it's about an era of history, those early, heady days of Muskoka settlement when the forests were flooded with loggers and land-hungry settlers. ISBN 978-1-55002-796-9, 272 pages, paperback, NHB. 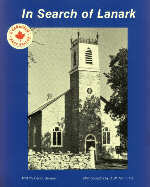 A historical overview of old Lanark county and its towns, villages and townships. This revised edition contains 160 photos of fine old stone houses, log cabins, churches and rail fences in one of eastern Ontario's most beautiful counties. ISBN 0-919137-02-4, Size 8 1/2 x 11 paperback, 119 pages. A Juniper Book. The author has recorded the saga of the K & P in this book. The Trials and tribulations of the promotors, the hilarious experiences of the passengers, and the dedication with which the men of the line carried out their duties, are all remembered here. ISBN 0-919137-04-0, Size 8 1/2 x 11 paperback, 123 pages, A Juniper Book. This book chronicles the experiences of women in the history of Eastern Ontario. Women have played a major role in the settlement and history of the area, yet until recently they have been virtually invisible. In local histories women are conspicuous by their absence yet they were the backbone of our society. ISBN 0-919137-34-2, Size 8 1/2 x 11 paperback, 150 pages. A Juniper Book. A Celebration of Ontario's Dance Halls and Summer Dance Pavilions. Let's Dance!is a nostalgic musical journey, recapturing the unforgettable music of youth and lasting friendships, the days when the live mellow sounds of Big Bands wafted through the air. Throughout the 1920s to the '60s, numerous legendary entertainers drew thousands of people to the hundreds of popular dance veues right across Ontario. From the days of jitney dancing through the introduction of jazz and the Big Bands era to the sounds of some of Ontario's best rock groups, people of all ages came to dance and some to find romance on soft summer nights. ISBN 1-896219-02-0, Size 8 x 10, 232 pages soft cover, NHB. In 1938 Vernon Price took a boat from Deep River across the Ottawa River to the Depot on the Quebec side where the Schyan River enters the Ottawa. Hitching a ride on a tote wagon which delivered supplies to logging camps the enterprising 22-year old arrived at Willie McCool's Camp and was taken on. This book is a collection of memories and photographs of that winter's logging. ISBN 1-894263-36-7, 5 1/2 x 8 1/2 paperback, 88 pages. GSPH. A beautiful, young starlet finds relief from her troubled Hollywood existence at an inn on the French River in the 1950s. After her tragic death the staff, and some visitors, see the ethereal blonde in the room Marilyn occupied. They are convinced she has returned to stay forever. This inn is just one of the public places where you may see a spirit. Take a trip with Terry Boyle, well-known historian and folklorist, who tells the stories behind each place and explains what he and others actually saw and heard. ISBN 1-896757-18-9, 6 3/4 x 9 paperback, 192 pages, Polar Bear Press. Parry Sound, at the mouth of the Seguin River on Georgian Bay, traces its history back to William Beatty Jr. and the purchase of timber rights. From the heyday of lumbering, through mining ventures, the period of Prohibition, the arrival of the railway and the impact of the Great Wars, the unfolding years are all accompanied by an intriguing mixture of colourful personalities, politics and scandal. The story of this growing community has a richness that few Ontario towns can match. Today Parry Sound embraces its entrepreneurial heritage, its hockey history, its commitment to the arts and its place as a popular tourist destination. ISBN 1-896219-91-8, 6 x 9 paperback, 272 pages, NHB. Through the eyes of Catherine Parr Traill, the noted chronicler of pioneer times, we see the life of pioneer women, the disappearance of the forest, the corresponding changes in the lives of Native Canadians and the richness of her natural world. ISBN 1-896219-59-4, Size: 6 x 9 paperback, 210 pages, NHB. 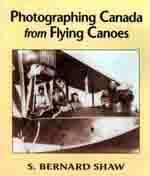 This is the story of the pioneers who photographed Canada from the air and laid the foundations of our nation. Until these heroes returned from World War I and ventured into unexplored territory in primitive flying boats, only southern stretches of the Dominion and some waterways had been surveyed and mapped. Their work led to Canada's current leading role in aerial survey and remote sensing, and aircraft they specified initiated Canada's pre-eminent position in aerospace manufacture. ISBN 1-894263-42-1, Size 8 1/4 x 9 1/2, 294 pages paperback. GSPH. Since the terrorist attacks of 9/11, a myth has persisted that the hijackers entered the U.S. from Canada. This is completely untrue. Nevertheless, there was a time—during the U.S. Civil War—when attacks on America were launched from Canada, but the aggressors were mostly fellow Americans engaged in a secessionist struggle. Among the attacks were three daring naval commando expeditions against a prisoner-of-war camp on Johnson's Island in Lake Erie. This book offers the first full account of naval operations launched from Canada describing forgotten military actions that ultimately had an unexpected impact on North America's future. ISBN 978-1554889860, Size 6 x 9 paperback, 254 pages, Dundurn. 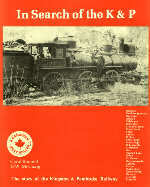 This book is as a result of driving all the back roads of Renfrew County by photographer D. W. McCuaig. This is neither a guide book nor a history, but an exploration of the county with snippets of the early history of each community and township. ISBN 0-919137-18-0, Size 8 1/2 x 11 paperback, 213 pages. A Juniper Book. Explore the mysterious demise of the stern-wheeler Mayflower on a stormy night in November. Examine the lives lost, the survivors and the tragic series of events surrounding the sinking. !SBN 0-919431-42-9, Size: 6 x 9 paperback, 160 pages, GSPH. The participation of the Iroquois of Akwesasne, Kanesetake (Oka), Kahanawake, and Oswegatchie in the Seven Years' War is a long-neglected topic. The consequences of this struggle still shape Canadian history. This book looks at the social and economic impact of the war on both men and women in Canadian Iroquois communities, and provides an enhanced appreciation for both the role of Amerindians in the war itself and their difficult struggle to lead their lives within the unstable geopolitical environment created by European invasion and settlement. 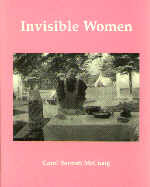 ISBN 978-1554889778, Size 6 x 9 paperback, 247 pages, Dundurn. The canoe is a symbol unique to Canada. One of the greatest gifts of First Peoples to all those who came after, the canoe is Canada's most powerful icon. Included are a collection of essays by paddling enthusiasts and experts. ISBN 1-896219-48-9, Size: 6 x 9 paperback, 312 pages, NHB. Bringing Down Canada's Most Daring Armed Robber. When Janice Whiteman met her husband Robert at the airport she was stunned when he was tackled in front of her by plainclothes police and arrested for armed robbery. Since the day they met, Robert had been leading a double life; husband and father at home, spectacularly successful armed robber on the road. In a spree lasting thrity-three months, in cities, large and small from Vancouver to Halifax, sometimes two in one day, for a combined take of over two million dollars. This is the extraordinary true story of the most daring criminal in the nation's history: Canada's Flying Bandit. A narrative of the steamboat days on Georgian Bay in the nineteenth century, one which encompasses storm and shipwreck, violence and death, family antagonisms and business calamities and national events--including the Riel uprising of 1870. 1-897045-04-2, Size: 6 x 9 paperback, 265 pages. NHB. 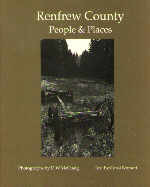 This book traces the presence of human habitation on the shores of Mazinaw from its earliest beginnings to the present, from the aboriginal people who believed the cliff top to be a sacred place, to the rugged lumbermen whose zeal cleared out the mighty pine, to the settlers who struggled to create new lives for their families. ISBN 1-896219-50-0, Size 6 x 9 paperback, 170 pages. NHB. The Black pioneers who cleared the land and established the Queen's Bush settlement in that section of unsurveyed land where present-day Waterloo and Wellington Counties meet, near Hawkesville, are the focus of this extensively researched book. Set in the context of the early migration of Blacks into Upper Canada, this work is a must for historians and genealogists. 1-896219-85-3, Size: 6 x 9 paperback, 340 pages. NHB. ISBN 1-897045-16-6, Size: 6 x 9 paperback, 182 pages, NHB. This richly illustrated book examines the urban connection of the clandestine system of secret routes, safe houses and "conductors." Not only does it trace the story of the Underground Railroad itself and how people courageously made the trip north to Canada and freedom, but it explores what happened to them after they arrived. And it does so using never-before-published information on the African-Canadian community of Toronto. 1-896219-86-1, Size: 8 x 8 paperback, 92 pages. NHB. 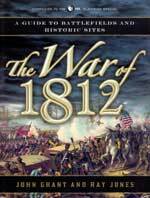 Some recognize the War of 1812 only for the creation of the "Star-Spangled Banner." Others know it as the momentous fight that defined Canada as a distinct nation. For all, whether or not they realize it, the War of 1812 was a two-and-a-half-year bitterly fought conflict that forged the destiny of North America. Filled with more than 120 colour photographs and archival paintings, the book enables readers to understand the conflict in the context of specific battlefields and relevant sites. ISBN 978-1-59652-830-7, Size: 8 1/4 x 10 3/4 paperback, 192 pages. Turner Publishing. Edmund Zavitz (1875-1968) saved Ontario from increasingly more powerful floods, erosion, and deadly fires. Wastelands were taking over many hectares of once-flourishing farmlands and towns. Sites like the Oak Ridges Moraine were well on their way to becoming a dust bowl—and all because of extensive deforestation. Just a month before Zavitz's death, the one billionth tree was planted by Premier John Robarts. More than another billion trees would follow. Today, the recognition of the ongoing need to plant trees to protect the future continues as the legacy of Edmund Zavitz, the man known as Ontario's "Father of Reforestation." ISBN 978-145970113, Size: 6 x 9 paperback, 264 pages. NHB. 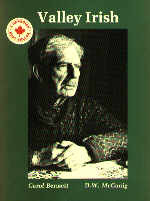 This book is a documentation of the Irish settlement in the old District of Bathurst (part of modern counties of Carleton, Lanark and Renfrew), drawing on the history of the nineteenth century Ireland to explain why the people left their native land, and how these events affected the Ottawa Valley. In addition this book profiles a cross-section of the old families of the area. Invaluable to the genealogist. ISBN 0-919137-07-5, Size 8 1/2 x 11 paperback, 114 pages. A Juniper Book. Elgin County located on the picturesque north shore of Lake Erie, at one time was home to more than forty once-flourishing villages. These former village settings were the scene of much excitement—shipwrecks, War of 1812 skirmishes, rowdy taverns, eerie hauntings, deafening steam engines thundering on new rail lines, robberies, and even a murder or two. While the area was dominated by the aristocratic colonizer, Colonel Thomas Talbot, these local villages were also settled by United Empire Loyalists fleeing the American Revolution, entrepreneurial town builders and American industrialists, and Scottish, Irish and German immigrants building a new life in the wilderness—all contributors to the development of southwestern Ontario. ISBN 978-1-55002-812-6, 213 pages, paperback. NHB. Once home to over 60 flourishing villages, Middlesex County, in the heart of south-western Ontario, has a rich history just waiting to be discovered. The author has produced a valuable document chronicling the "rise and fall" of these pioneering settlement--great for nostalgia buffs, armchair adventurers, genealogists and curious daytrippers alike. 1-896219-51-9, Size: 6 x 9 paperback, 382 pages. NHB.